Swamps, both coniferous and deciduous, in acid soils; sphagnum bogs. Both the larger subsp. atlantica with the widest leaves 1.6–2.5 mm wide and inflorescences usually 1.8–2.8 cm long and subsp. capillacea (L. H. Bailey) Reznicek (C. howei of Michigan Flora) with the widest leaves 0.8–1.6 mm wide and inflorescences 0.8–2 cm long occur throughout the Michigan range, though subsp. capillacea is more frequent. MICHIGAN FLORA ONLINE. A. A. Reznicek, E. G. Voss, & B. S. Walters. February 2011. University of Michigan. Web. 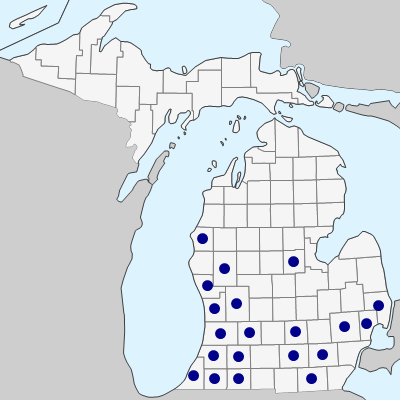 April 21, 2019. https://michiganflora.net/species.aspx?id=911.